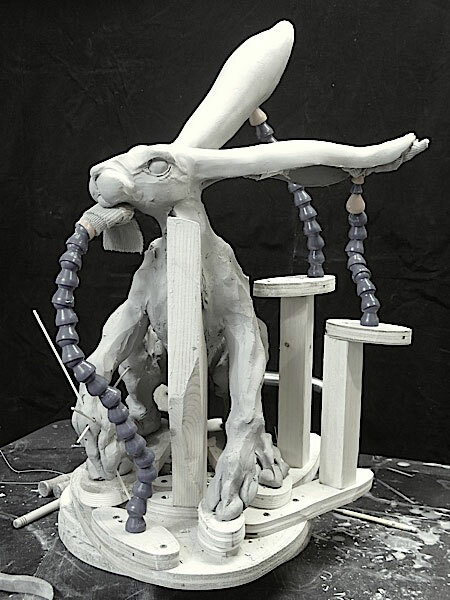 These photos were taken about a month ago of a smaller hare sculpture which is now ready to bisque fire. It was the first sculpture done in my “new” (re-claiming previous sculpture space…long story) 10’x10′ sculpture-only work area. 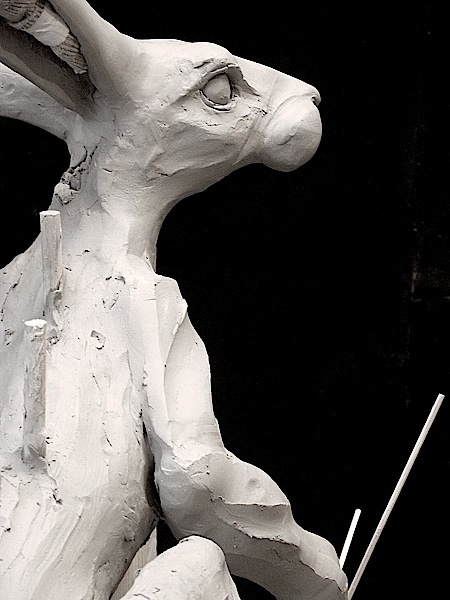 I’m now working on a much bigger hare sculpture, as yet untitled (his ears featured in yesterday’s blog entry).